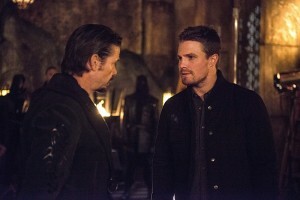 Will Thea be saved in Nanda Parbat? The episode is called “The Fallen” and below, you can find the new pics. Arrow -- "The Fallen" -- Image AR320A_0017 -- Pictured: Francoise Yip as The Priestess -- Photo: Cate Cameron/The CW -- ÃÂ© 2015 The CW Network, LLC. All Rights Reserved.